I am now just weeks away from the first birthday that I feel I need to worry about! 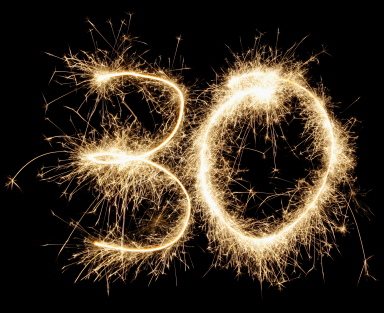 I will no longer be in my twenties and will be entering the dreaded thirties. It all sounds a bit boring but I am quite simply a very family orientated person. ▶ a job. It had potential to be a decent job and one I worked hard to get. I’m proud that I’m a career Mum. ▶ had 4 beautiful children and completed my family. The grand plan was never 4 children but, Mother Nature decided to have a bit of fun with us! ▶ seen a small amount of the world but nowhere near enough. I’ve done the Caribbean, Florida, plenty of Europe and Indonesia. Babies curtailed further travels and I wouldn’t change it for the world! ▶ I have failed this many, many times. When I fell pregnant with the twins I was at the heaviest I have ever been. During my pregnancy I got gestational diabetes and it’s given me the wake up call I need to change my eating habits. I am currently at the lightest I have ever been all my adult life. I still have another 2 stone to go to be within a healthy BMI and I hoping 1 of those can be gone before my birthday. As 30 looms nearer and I begin thinking of the lie I want to tell everyone when they ask how old I am, I’m also wondering where I want my life to go in the next 10 years. This part worries me more than anything – I don’t know! I had all these plans for my twenties and now my thirties seem pretty empty. If I want my thirties to be more exciting than doing the school run, the rounds of the after school clubs and birthday parties I’m going to need some help. I’m tempted by the idea of taking up running with the first challenge being a 5k. Not exactly exciting but anyone who knows me will know me and running are never usually seen together! I want something more exciting though. What exciting challenges can I set myself? I’m on my third child before 30, never imagined having even one lol. I’d love to the Caribbean, looks amazing. Maybe explore more of your home country? That’s my plan this year. To the travel Ireland far and wide with the kids. Adventures on our own doorstep.